I went through a 'looking for decent Jedi togs' back in the early 90s and thought I'd have to kludge my own together in the end. I like the designs and 'looks' but, being an old geezer, I seriously doubt I'll be wearing the Jedi minidress (yes, it would highlight my hairy legs but... not sure i want to be 'seen' as half human half wookie). The female hoodie from Ping is a very cool design. And I like the 'chakra' accents on some of the SoC stuff... though again, me wearing a hoodie would make me look like a poser rather then a 'hip' Jedi. Last Edit: 6 years 11 months ago by Kol Drake. I prefer simple. T-shirts. Like this from Target (unfortunately not available online). I know for me, that is what I'm looking at, basically 3 types of clothing is what I'm looking for. Something dress casual for work polo'ish, casual/comfy (for wearing at home), and then something more formal for special events. It would be nice to have something like it. The other thing I'm looking at, is getting ideas for "Jedi Inspired" clothing, that can be worn day to day, but yet not look so out of the ordinary as robes would. I like the 'basic' with variations .... as long as the variations made sense and still had that 'jedi' feel. I used to own a number of folkwear brand patterns -- mostly japanese and asian patterns. I always thought a guy wearing a hakama for 'pants' would be in keeping. It is interesting to note some get all crazy about 'being movie specific' -- but if you go to a display/exhibit, you will find, especially for the females, there are the 'accents' and variations I speak of... specfically, the Librarian, Jocasta Nu, had markings on her stole and Luminara had metal bracers and an intricate design on her stole front piece. Ahsoka Tano, Aayla Secura, Shaak Ti, Luminara Unduli, and Barriss Offee all had 'Jedi Uniforms' that were unique to the character and/or their culture or planet. Different colors, different cloaks, different tabards, etc. The ladies had variety... and still read as JEDI. The 'standard' outfit seems to be just that, though if you look at Qui Gon Jin's outfit verses 'young' Obi Won there are differences... as well as 'young' Obi versus older 'hermit' Obi Won. Same for Mace Windu versus the others. For more color and style changes -- ya, there are some nice modifications, many I've seen from the expanded universe drawings and comics. Last Edit: 10 months 3 weeks ago by Kol Drake. 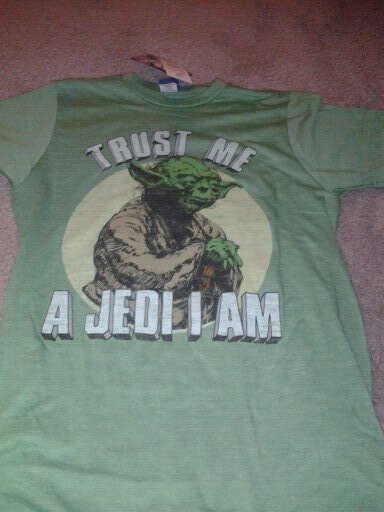 I know it isn't much fun, but I actually think plenty of modern clothes are suitable for Jedi clothes. Have you ever tried to sword fight in a robe? The sleeves and swirling get in the way (but it IS fun). For a modern Jedi, I personally like comfortable clothing in natural fibres that wears well, looks refined, and doesn't scare off the people that you're trying to help. Unfortunately, most people judge others by the way that they look, and if they look too 'out there' will dismiss them as nutters, which we're not. Or most of us, anyway. The way the Jedi dressed in the movies was so they could be recognised as such, both to be a beacon to those who needed assistance, and a warning to those needed that. What do you as a Jedi in the modern world wish to be recognised as? For me, looking at the Jedi wardrobe, and after watching "The Last Samurai" this past weekend, Part of it is the look, but also the comfort. I know from my SCA stuff that some of the Japanese style clothing is very comfortable. So that is my plan, to try and find a way to incorporate the look, but mildly, keep the comfort, but also make it functional, for the most part. I mean, I could see going a little less functional, more comfortable and traditional for Personal use, i.e. Meditation, Ceremonies, etc.. this going back to the days of my looking into Ritual Magick, the designation of ceremonial Clothing, to help put you into the correct mindset, by dawning clothing that is only used for Specific purpose's. I could see something like that being helpful for meditation, especially if you have a set time to meditate, making it a ritual, to help get your mind into the right state. But there is a part of me wanting to find someway, to incorporate that look and comfort, into something that, not only would be acceptable to wear in public, but also to place's like work or school, and avoid as much ridicule as possible. For and example, the ridicule that the COJ:England member got after going fully robed onto TV for an interview about COJ. Last Edit: 6 years 11 months ago by Memnoich. heh.. reminds me of the woman from my area a long while ago (1996). She showed up as a jurist for a federal trial in Little Rock in her Star Fleet uniform. Very clean, crisp and well made. The judge asked why and she said, it's the nicest thing I have to wear and represents the ideals of what Star Trek/the Federation upheld -- and gave the whole truth, honesty, open mindedness and apple pie speech. And, they let her on and she served in uniform-- until press interviewed her on the sidewalk about her attire -- which violated the court rules on press and jurist, etc. Yes, it would be neat to have some 'functional' wear... although when I went to a few Renaissance dinners in the late fall, I found a good, water resistant cloak with a hood *very* handy against the wind, rain, and cold. Kol Drake wrote: Yes, it would be neat to have some 'functional' wear... although when I went to a few Renaissance dinners in the late fall, I found a good, water resistant cloak with a hood *very* handy against the wind, rain, and cold. They make good emergency blankets as well when you find yourself in another's encampment, and unable to make it back to your own. I wear goth clothes and am part of my local alternative community. Frankly speaking, I could care less about what others say or think of my appearance. 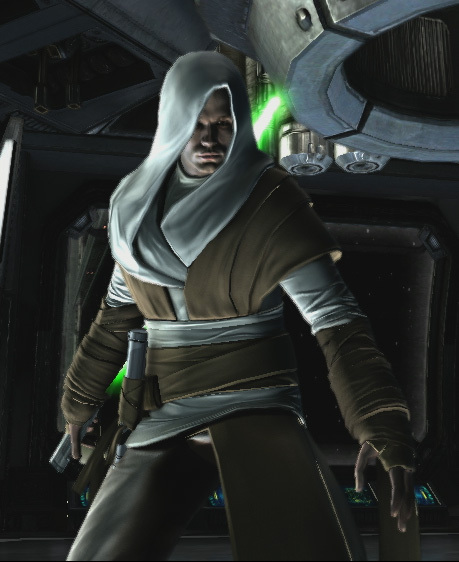 I'd wear Jedi robes in public if I owned a set. I've got a hooded black cloak that's so warm and comfortable.